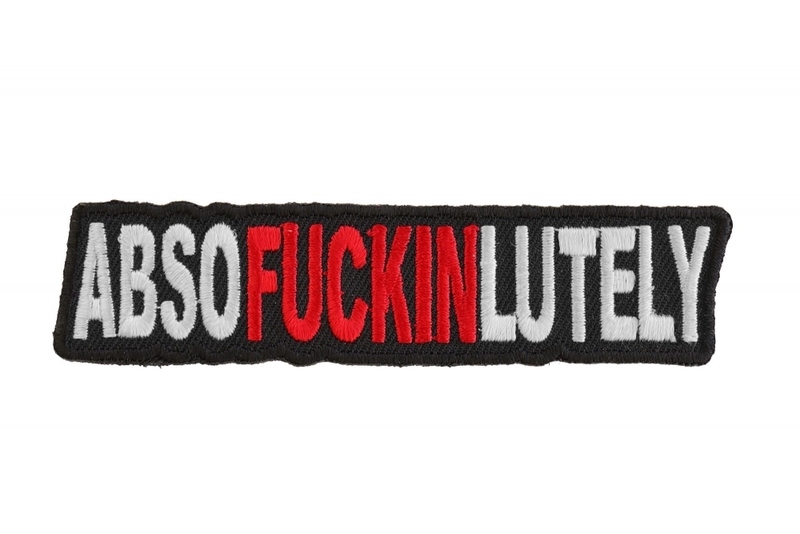 The Absofuckinlutely Patch is one of our great funny patches that uses the F word inside the word "absolutely" to give it a bit more effect! It is white and red embroidered over a black twill surface,measuring 4 x 1 inches. 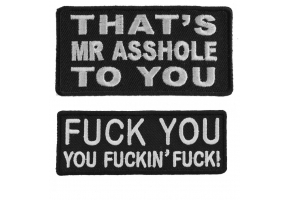 These great embroidered patches are sometimes referred to as iron on appliques, sew on badges, insignias, or emblems. Do not iron this patch onto leather jackets or vests as it scorches the material. Why not add a great patch to jazz up some old clothes you may have, give them some extra life. Most of our patches would be ideal for this. Just browse our site to see what we have available. You can apply for a wholesale account if you are interested in making bulk patch purchases. 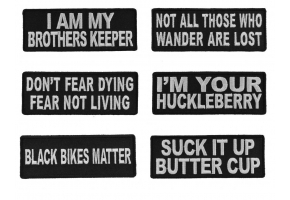 Our patches are great to resell on EBay or vending at Motorcycle Rallies. With a low minimum purchase you will get the lowest prices for high quality patches, and we will ship them to you today. 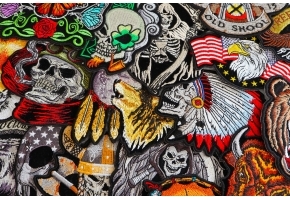 We are your "go to" store when you are shopping for embroidered patches. Want a custom patch, just let us know.